SANE Australia is a charity that helps Australians affected by mental illness. Their popular online community, SANE Forums, serves as one of their primary initiatives. It isn’t just SANE Australia’s community, but the online community of 51 partner organizations, as well. Nicole Thomas is the online community manager of SANE Australia’s online peer support community. SANE Australia is a national charity helping all Australians affected by mental illness. Their online community, SANE Forums, is made up of two segments. One for people with lived experience of complex mental illness, and one for those who care for someone with a complex mental illness. Since completing her Bachelor of Education degree, Nicole has had a diverse career with past roles within the New South Wales Department of Education, corporate learning and development, and youth mental health. 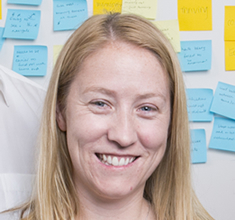 In 2014, Nicole began her role at SANE to launch the community and since then has continued to lead the strategic direction and development of SANE Forums. In 2015, she co-founded the Community Managers Interagency Group, which consists of community managers from several not-for-profit organizations who provide online peer support communities. Nicole is passionate about the role online communities can play in addressing social and geographical isolation and improving well-being. She is also committed to working meaningfully with those with lived experience to create relevant and engaging services. 00:20 Patrick O’Keefe: Hello, and thank you for tuning into Community Signal episode number 67, following a break last week. If you didn’t already know, this show is now on iHeartRadio. 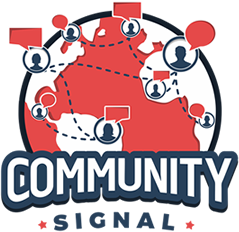 Search Community Signal to find us on the platform or click the link on CommunitySignal.com. Our guest this week is Nicole Thomas, online community manager of a large Australian mental health community, and we’re going to discuss how they share their forums with 51 other partner organizations and prove value to secure funding. Nicole is the online community manager of SANE Australia’s online peer support community. SANE Australia is a national charity helping all Australians affected by mental illness. Their online community, SANE Forums, is made of up of two segments, one for people with lived experience of complex mental illness, and one for those who care for someone with a complex mental illness. 01:08 Patrick O’Keefe: Since completing her Bachelor of Education degree, Nicole has had a diverse career with past roles within the New South Wales Department of Education, corporate learning and development, and youth mental health. In 2014, Nicole began her role at SANE, launched the community, and since then, has continued to lead the strategic direction and development of SANE forums. In 2015, she co-founded the Community Managers Interagency Group, which consists of community managers from several not-for-profit organizations who provide online peer support communities. Nicole is passionate about the role online communities can play in addressing social and geographical isolation and improving wellbeing. She is also committed to working meaningfully with those with lived experience to create relevant and engaging services. Nicole, welcome to the program. 01:52 Nicole Thomas: Thank you so much for having me. 01:54 Patrick O’Keefe: It’s a pleasure to have you. So, tell me about this Community Managers Interagency Group. It sounds very official. 02:34 Patrick O’Keefe: And you were telling me before the show that it’s strictly offline, pretty much. 02:37 Nicole Thomas: Yeah, which is kind of ironic, but it’s a really nice opportunity just to take some time away from the hustle and bustle of everyday community management life and sit around with a group of people who know what it’s like. 02:54 Patrick O’Keefe: It makes a lot of sense. I mean, I think there’s kind of big overarching community groups, and then I had Gabe Graziani from Ubisoft on the show recently, and he said how he’s part of a Facebook group of people who manage community in gaming, and people get together and do the same thing, sort of. They talk about the things that impact them and sort of vent and blow off some steam and learn. And so, within all of these different niches, there’s plenty of room for all kind of smaller break-off community groups who kind of share the same challenges. And I think mental health is something that’s really interesting to me in an online community context. We’ve had past guests like Cosette Paneque, who I guess is how you found the show. 03:29 Nicole Thomas: Yep, she’s great. 03:30 Patrick O’Keefe: And how I found you. So, I want to talk about saneforums.org. Your forums break up into two communities within the whole. One is for carers, the friends, family, and people who care for those living with mental illness, and the other is lived experience, for people who living with mental illness. Now, they’re separated by organization, but if you go to saneforums.org, they’re side by side, and anyone can access either section. For example, people with mental illness can read the carers section and see what they’re talking about and maybe venting about, or talking about the challenges they face. Does that sort of…I don’t know. Collocated separation, if you will. Does that create any unique challenge? 05:03 Nicole Thomas: Also, I think another interesting thing is that there are people who care for someone, but also, they have their own lived experience. So, we have a group of members who actually straddle across both, and they will go from one to the other, depending on what they’re currently managing, and we’ll also respond to each other in each forum, as well. I guess while I have quite an important role, obviously, as a community manager, I think our community wouldn’t be what it is today without these amazing people who are going through their own tough times, being there for other people and supporting them, and just an outpouring of compassion and support. So, it’s a peer-to-peer forum, and it wouldn’t be possible without those people who are really generous with their support and compassion. 05:47 Patrick O’Keefe: The day you filled out the pre-show questionnaire, which was yesterday, the day before our recording—thanks again!—you told me that you were “working on finalizing a role description for your wonderful superusers, who are members of your community guide volunteer program.” Now, volunteers are an important part of many, probably most successful communities. Mental health presents a unique challenge in online community spaces, because of a whole host of issues, but among them, legal and compliance-type issues, duty of care, and all that fun stuff. Tell me about your volunteer program and how it works. 06:24 Nicole Thomas: It started in 2015. We gained a partnership with a national TV channel, ABC, here in Australia, for their mental health week. And that meant that our forums got a huge exposure, and at that time, our community was small to medium size and was very manageable, but we anticipated a huge peak in new traffic coming through. And so, anticipating that, we got a group of people together in our community who were already living and breathing the values of our culture, what we want to see in our forums. So, they heavily invested people in our community, and were already doing an amazing job, and we wanted to formalize that for them, and we also wanted to, I guess even just giving a title, not just for acknowledgement for them, but also for the new people who are coming and can see, “Okay, that person’s got this title of community guide. Maybe that’s someone I can talk to or they know where I can go.” So, that was the intention in setting it up. 07:20 Nicole Thomas: And as that program has grown, initially, it was sort of a loose role that they were doing a great job, anyway. And they still continue to do a great job, but as the pool of community guides has grown, there’s been a need to, I guess, create some structure around it. And really, that’s to benefit the community guides. So, the initial feedback we had from them was that there’d be too much pressure if there was a role a description and sort of expectations attached to it. But what we’re discovering is that not having those expectations has actually caused a lot of anxiety, because they don’t know if they’re doing a good job or not. And they’re doing amazing work. So, it’s really hard for us. I guess we can give all this positive reinforcement and tell them how great they are, but they’re not measuring themselves against anything. So, they’re sort of not really sure what they’re achieving. So, we’re finding it really important to create a role description around that. And what’s going to come with that, though, also, is some online training and some more support to help them within that role. 08:16 Nicole Thomas: Totally! Totally. 08:18 Patrick O’Keefe: That’s life in general, I guess. 08:19 Nicole Thomas: [Laughs] I totally understand both perspectives of that. So, the role description isn’t going to be anything that they’re probably not doing now. There’ll be no surprises there for them. But I think it’s really important to have that backing that what you’re doing is making an impact and that what you’re doing is helpful. But at the moment, I guess feedback from moderators and myself, it’s helpful, but I don’t think it’s telling them exactly what they’re achieving. 08:44 Patrick O’Keefe: Now, I know you have mental health professionals available for moderation 24/7. Is there anything that volunteers are discouraged from doing? Are there any kind of red flag situations that pop up where you want them to escalate it to someone else? 08:57 Nicole Thomas: Yeah. So, our forums are moderated 24/7. So, all posts are seen by moderators. They go up live, so it’s not pre-moderation, but we are alerted to situations very quickly. I guess what we encourage our community guides to do is to not feel like they have to respond to everything and not feel like they’re responsible for anyone’s mental health. And so, when those situations escalate, we encourage our community guides to hit the report button. There’s a little report button if they’re concerned about particular members. It’s not discouraged that they don’t engage, but to not feel like they have to engage, if it’s something they feel that’s out of their depth. 09:42 Patrick O’Keefe: Mm-hmm. Now, how active are your forums on average? Like, how many posts do you expect in an average week or month? 09:48 Nicole Thomas: Oh, that’s a little bit scary, actually, because… Well, this is one of our mysteries at the moment. Our post numbers have skyrocketed over the past two months. It’s not attached to any campaigns. 10:02 Patrick O’Keefe: Is it Donald Trump’s fault? Because I have to say, I’m sorry. I’m sorry about that. [Laughs] I know he had that phone call with the Australian Prime Minister and I know it’s scary, so I apologize for just the workload that is obviously correlated. Correlation-causation, right? You said a couple months. It’s been a couple months. No, I’m just kidding. 10:49 Patrick O’Keefe: Sorry, sorry. And the reason I ask that, so it’s thousands, so in a month…1,000 in a week, it sounds like. So, there’s some fluctuation, of course, but the reason I ask that is you mentioned 24/7 moderation. So, are you staffed up to deal with this? Or are you working with outside moderation firms? 11:01 Nicole Thomas: So, it’s a mixture. So, SANE Australia has a help center. They have a help center that has a help line, a phone number that people can call. They have online chat. And so, the role within that help center is also moderation. So, we’ve got moderators from there. We also have partner organizations, and they provide some moderation, as well. And we also have third party moderation. So, it’s kind of split between three or four organizations and it’s been an interesting challenge, but also amazing in that we’ve got this big pool of different expertise and experiences that we wouldn’t have just within one organization that has really contributed to our moderation pool. 11:42 Patrick O’Keefe: Is it slot-based, time-based? How are you deciding what goes to what type of thing? Like, when those partner organizations step up or when you have kind of a third party company step in. 11:52 Nicole Thomas: Yeah. It’s a scheduled roster, basically. 11:55 Patrick O’Keefe: So, you have partner organizations—we’ll get into that in a second—and you have volunteers on the community. Sounds like you have some people in a help desk that do moderation. So, it’s a lot of different hands. But what’s considered the community team? What’s between you and the volunteers? 12:08 Nicole Thomas: So, our team is made up of a variety of different roles. There’s myself as a community manager solely focused on our community. I also have a community engagement specialist, and her role is very hands-on, like me, but also, she’s an academic, so she has been running our evaluations year to year. We have a partnership manager, so we have 51 partners around Australia, so that’s a big a role. And while that person is not hands-on on our community, they’re obviously very involved in the partnership side of things. And then we have people who are kind of split across our organization. Our help center manager, for example, we’ll work with her team, who also moderate. We also have people who have technical backgrounds who work on forums when needed. And then within that, we have moderators who I co-oversee with our help center manager. 13:00 Patrick O’Keefe: SANE Forums isn’t just the community of SANE Australia. You also essentially white label your community and partner with other mental health and carer-focused organizations to embed those forums into their websites. It matches the look and feel of their website. It’s essentially their forums, but you know, they’re all the same forums. And at the end of the day, you’re responsible for them, and it sounds like along with those partner organizations, Mind Australia and PANDA are two of the 51 different organizations you have partnered with, and we’ll link to those in the show notes. But what do they get out of that relationship, and what do you? 13:35 Nicole Thomas: Yeah. It’s really a two-way street there. For them, they can extend their service offerings into eHealth. So, a lot of these organizations are community-based or state-based and very much on the ground and working with people face-to-face. So, giving them these forums extend their service provision, essentially. For us, it provides us a huge pool of expertise that you could never get in one organization. So, for example, one of our partners is Eating Disorders Victoria. They were instrumental, particularly in the startup of our forums, in ensuring that our community guidelines and the culture we were setting within the community was safe for people who have eating disorders. For us, it’s a really two-way street. Also, more broadly for the mental health sector, it reduced duplication. So, for people who are funding mental health across Australia, replicating this 51 times would just be out of control, in terms of how much that would cost. So, it reduces that duplication for the sector, as well. 14:37 Patrick O’Keefe: And it sounds like some of those organizations are involved in moderation, right? That’s what you were referencing before? 14:45 Nicole Thomas: Yeah. So, there’s a variety of different ways that partners are involved. There’s the moderation, the traditional style moderation of being on for a certain period of time, and then there’s an organization to provide their expertise. A really good example is tomorrow, Friday, we will be running an online session through an organization called ASTAR Australia, an employment agency for people with disabilities. They also provide in their face-to-face life courses and information about job-seeking. And so, they translate that onto our forums, so we run a session every second Friday from midday Australian Eastern Standard Time where we focus on a particular topic, whether it be resume writing or disclosing about mental illness in the workplace, and just run an information session. And so, we don’t have that expertise internally. They’ve added a huge amount of value by being able to provide those sessions for us. 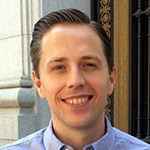 15:37 Patrick O’Keefe: One thing that came to mind about this is… and this’ll differ for nonprofits, but there was a community that I wrote about called… What was it? Homesteading Today, I think. And what they had done is a parent organization had bought this community, which was an established online community for homesteaders, and they had copied posts from that community into other communities. And when members found out, they were, suffice to say, unhappy. And in this case, I’m not saying that happens here, but I’m just curious, because if a member joins, say, SANE Australia and they’re sharing this very personal story, and then one day they see it on another website, the potential is there for an unpleasant feeling. Have you run across that? 16:18 Nicole Thomas: We haven’t run across that. We have come across members who have shared their own story in a couple of different places across different mental health websites, but we haven’t actually had, to my knowledge, anyone taking things from our community that they didn’t post and putting it elsewhere. 16:37 Patrick O’Keefe: Right. But just to make sure I understand the partner, if they post on SANE Australia, that’s going to show up…like, the same content when I visited those other partner sites, that content is going to show up under Mind Australia or under Panda, even though it was posted on SANE. 16:51 Nicole Thomas: Yes, you’re right, it’s essentially the same portal. It’s the same content. I think we do a lot of work to be able to ensure that the people who are providing that information from their own IP, for example, like ASTAR, get the recognition they deserve to show that that is their information. Is that sort of what you’re referring to? 17:11 Patrick O’Keefe: Yeah. I mean, there are cases where I’ve seen people be unhappy about this sort of thing, so I was just curious if you’ve seen that. You haven’t. So, that’s perfectly fine. 17:19 Patrick O’Keefe: So, with SANE Australia, is SANE Australia…? You know, you refer to it as you’re the home of this community, right? Like, you have partner organizations who display the community, but first and foremost, was this started out of SANE Australia, this community that is now shared and partnered across these different organizations? 17:34 Nicole Thomas: Yes. So, the initial startup was all SANE Australia. We did all the user experience focus groups and testing and development. But we had this idea of sharing the forums before they were even developed, and so, it was always our intention. We had a small handful of organizations who pretty much signed on the dotted line straight away before we launched, and so we had their support early on. And their versions of the forums launched within a couple of months of ours. So, there wasn’t a huge a gap, and it was always our intention to have this framework for our forums. 18:13 Patrick O’Keefe: A funny thing about this sort of arrangement is that, while different organizations get to have these forums, and it’s good because it drives more people to your community, their community, or however you look to it, but more to this same space. But it costs more to manage that space, right? I mean, as all these organizations send people to this one space, at the end of the day, you are the one kind of primarily responsible for it. So, I guess that’s a reason I was curious, like, what they contribute, because it costs more because of the traffic they send, so if that’s in kind services, if that’s expertise, if that’s moderation, I guess maybe it could even be a little bit of budget in some cases, but the more that they send to you, the bigger your job becomes, right? 18:52 Nicole Thomas: Absolutely. But that’s where we can put forward opportunities for funding, particularly through our Commonwealth government, and say, “We are reducing your costs in the mental health sector because we’re providing this service to 51 organizations around Australia.” So, it’s also a good argument for us to be able to go out and get the finding we need to be able to resource that. 19:14 Patrick O’Keefe: You bring up funding, and it’s clear that SANE has made a serious investment in forums and community, and we talked about it today, obviously. And you run Lithium, which costs a few bucks, we’ll say. Yesterday, you told me you were creating a report for a funding body on the impact of the money invested into forums. What does that report say? 19:33 Nicole Thomas: [Laughs] That’s such a good question. So, the report I was referring to yesterday is linked to funding we received to raise awareness about the forums in regional and rural Australia. So, for that particular report, it was about our… Our forums are anonymous, so they don’t share a lot, but what we do ask for is postcodes. So, I can show impacts of the campaign by looking at the increase of members from regional and rural Australia. So, that’s one really easy one. We also run annual surveys and evaluations, and in our early phases, which we’re still…you know, we’re kind of getting there where it’s not such an early phase anymore, but up until now, it’s been self-reported by members about the impact the forums have had on them. And so, that’s really helpful, particularly when reporting back to government bodies. We look at, in particular, the feeling around social isolation. 20:33 Nicole Thomas: SANE Australia has been around for 30 years and has done research in a whole lot of different areas around mental illness, and the one thing that continually is kind of underpinning all of the research people with mental illness feel a sense of social isolation. And so, the forums, the way they’re anonymous, they’re accessible, they provide opportunities for people to connect with others. So, the evaluations always seem to show that people feel more connected because they use the forums. We ran a focus group online through our forums with people who identified as members from regional and rural Australia, and it’s a huge impact on them living in those communities of these small towns where they don’t want to share they have a mental illness because, you know, the person that they teach in a classroom, their mother is the nurse at the local hospital. So, it’s such a small town situation. 21:28 Nicole Thomas: And they may not even know anyone in their town who has a mental illness, so being on the forums, they’re connecting with people who are in similar situations that they’ve never had access to before. Also, there’s no surprise that services in particularly rural Australia aren’t as accessible, and so the appointments with professionals are further apart than those who live in major cities. For them, the forums are providing, I guess, stability between appointments, a stable network of people that they can look to for support. So, while they will still have their ups and downs between appointments with a psychologist, they still have this base of people they can always come to online. While in one instance, it’s really hard to prove impact, because we’re this online space of group of anonymous people, there is also very clear feedback that we get of how effective the forums are for people. 22:19 Patrick O’Keefe: It sounds like the number of people and where those people are located are two of the kind of most common considerations, when it comes to talking about funding. 22:27 Nicole Thomas: Totally. Yep. 22:28 Patrick O’Keefe: And you’ve been at this for a while. You come at this profession from, I guess, initially discovering online community in your teens, not just discovering online community, which is, you know, a common story—it’s my story—but in particular, you were volunteering for Reach Out, and part of a community of people who were volunteering for Reach Out. And that sort of led you to your current role. Talk about that a little bit. 22:54 Nicole Thomas: Sure. So, when I was in high school, I signed up to be a volunteer with Reach Out, and the way that the volunteer program works is that it’s a national program, and the way that everyone kept in touch was through these online forums. And while I care deeply about the cause that I was volunteering for, one of the big reasons I stuck around within that volunteer program for so long was because of the people, and the online forums allowed us to be able to keep in contact, grow connections, grow deeper connections, and just this camaraderie of people who cared about the same thing. And so, I didn’t really see it as anything different than what I had experienced in the offline world; it was just that I would type to people in front of a computer, rather than talking to them in a group. 24:29 Nicole Thomas: And so, got the job here, and I think what’s really important, though, is that I guess it wasn’t as simple as “I’ve done that before accidentally, so now I should get the job.” There is a lot of work to be done around the foundations of developing communities. So, I don’t think it’s sort of a job that just anyone can do. I think there is a lot that people need to understand in order to run and launch successful online communities. 24:56 Patrick O’Keefe: And small world type of moment, you know, the person who founded Reach Out ended up becoming the CEO of SANE Australia, so… And then you saw a job posting. That was kind of a funny happenstance. 25:09 Nicole Thomas: You know, you follow good bosses around, and so I kept in touch with the CEO on and off between jobs. 25:17 Patrick O’Keefe: I just love that, because in a way, although you did other things and you were a primary school teacher and these other things, you kind of, in some small way, picked that path when you were a teenager, when you volunteered. 25:26 Nicole Thomas: Yeah. Oh, totally, totally. 25:28 Patrick O’Keefe: And it’s funny, because the contributions of teenagers to online communities, I think, are often understated. And probably the same is true for volunteering in community work, also. But you know, whatever you’re doing, whatever you’re volunteering for, whether it be a moderator of a community or helping out in some sort of charitable way. You’re making connections that theoretically might help you get a job one day ten years down the road. 25:47 Nicole Thomas: [Laughs] Yeah. That’s absolutely right. And there’s people within that volunteer program that have worked within other capacities on a formal employee-to-employee level, as well. So, it’s actually funny. Even just last week, we got a new general manager at our organization, and she actually started volunteering at Reach Out the day I started, and we both had very different paths. She went on to do a PhD., and we led very different lives, and we have found ourselves back here together again. So, it’s very true. 26:19 Patrick O’Keefe: That’s very cool. Now, again, as I mentioned, mental health and community, sort of a unique space. And I often find that, I don’t know, community software vendors just in general often do not pay, for my liking, enough attention to management, administration, moderation, behind the scenes-type features that make our lives easier. And I was curious, is there anything that isn’t out there right now, whether it’s your software doesn’t do it or you just haven’t seen it, that would make your job easier managing a mental health online community? Any kind of feature or tool or something that you had the idea for that just isn’t deployed yet. 26:51 Nicole Thomas: That’s such a good question. I wouldn’t say it’s actually closely related to online community specifically, but there is collecting metrics and, I mean, the software we use, the platform we use gives us amazing insight into our community. I think for everyone, it’s just, wow, there’s all these metrics. What do I do with it? And so, I spend a lot of time, and I don’t know if there’s ever something that we can develop that’s going to spit out a really nice narrative story about what’s going on in my community, but there is a lot of work to be done for community managers around making sense of that, and I think that’s a challenge, but also a gift at the same time, that we can collect so much information. Also, for me, I’m lucky enough, with our platform, to be able to do that. 27:32 Patrick O’Keefe: So, less about the key core metrics, we all can talk about engagement metrics, numbers, and almost help in identifying key stories, is kind of what I take away from that. Like, Facebook can look at my history and probably say, “These are the big stories of your life. These are the big moments. These are the key moments in your history.” So, it would be great if online community software could look at our data and pull together whatever—views, replies, likes, activity around something—and say, “This was a pivotal moment in the history of your community. Here’s the story, here are the blips, and here’s what each one represents.” I don’t know if that’s what you’re going for, but I like that thought. 28:06 Nicole Thomas: Yes. I would love a magical tool that could map every postcode of our members and then could do sort of like a heat map, maybe, or something that shows you where certain things are being talked about. So, is there, in remote Western Australia, is there a high incidence of talk around drug abuse, for example? Or is there in Brisbane, Queensland, an unusually high amount of people talking about the lack of support they’re getting in the area? No disrespect… I just pulled that out of the air, so anyone in Brisbane, I hope there’s no offense taken. [Laughs] But yeah, I mean, that’s stuff that would be amazing to be able to pull out and check and have a look at. 28:46 Patrick O’Keefe: Tools for helping to tell the story of the community. I like that. 28:50 Patrick O’Keefe: Nicole, thank you so much for being a guest on the program. I appreciate you sharing your experience with us. 28:55 Nicole Thomas: Oh, no worries. Thank you. 28:57 Patrick O’Keefe: We have been talking with Nicole Thomas, online community manager for SANE Australia’s SANE Forums. Visit them at saneforums.org, and follow Nicole on Twitter @nikkiniknik – that’s N-I-K-K-I-N-I-K-N-I-K. For the transcript from this episode, plus highlights and links that we mentioned, please visit communitysignal.com. Community Signal is produced by Karn Broad, and we’ll see you next time.